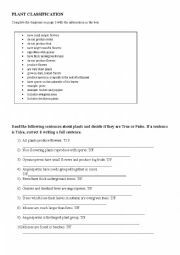 A great worksheet to practice WH-Questions. Hope you like it! 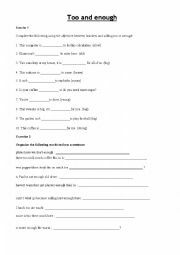 This worksheet will be very useful to consolidate the difference in use between too and enough. 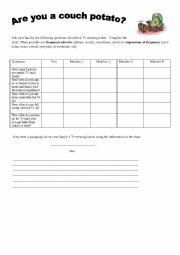 This is a questionaire through which students can ask family or classmates about their TV habits. 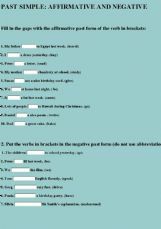 They will need to make the questions, use frequency adverbs and then write a short text. Hope you like it. It is short and simple but will surely be useful! There is never enough practice on something so basic. Hope you like it! 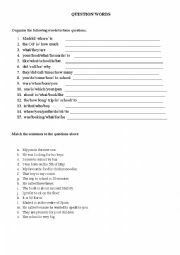 A quick exercise on comparatives and superlatives with adjectives.